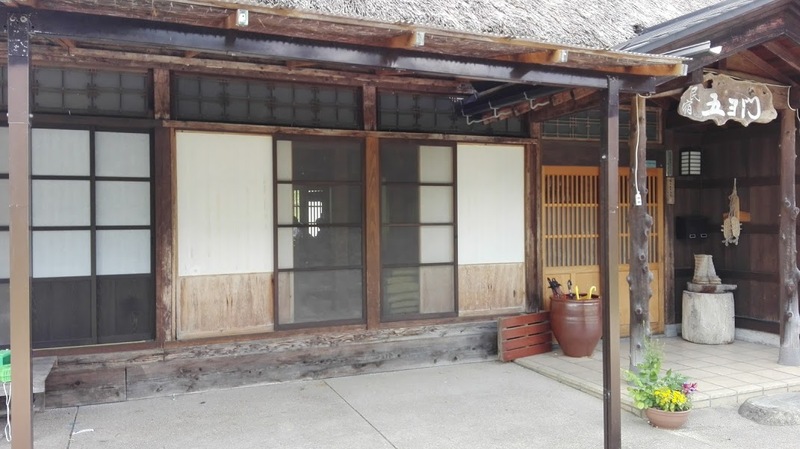 Welcome to Goyomon, a thatched-roof "Gassho-Zukuri" style of farm house in Ainokura. 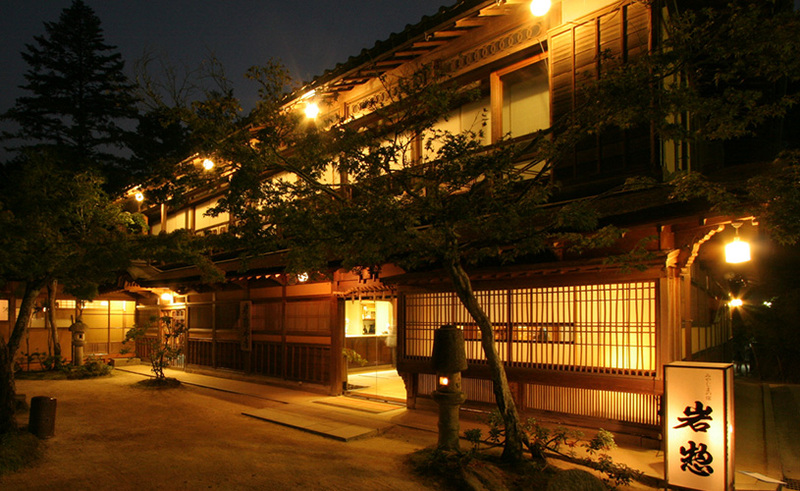 Goyomon is a quaint, historical type of accommodation full of character and perfect for the guest who wishes to experience traditional Japanese culture. 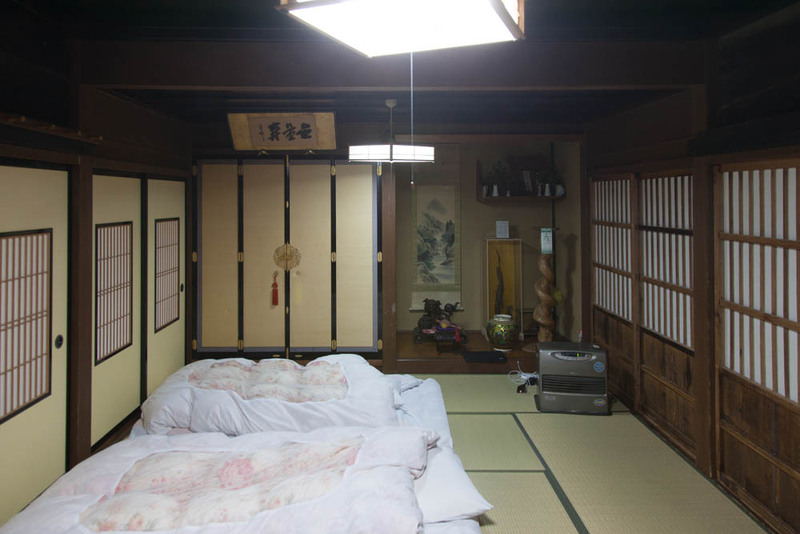 All 3 guest rooms are traditional Japanese-style and there are indoor baths for both women and men (same gender only). Local river fish and fresh, seasonal vegetables are served throughout the year. 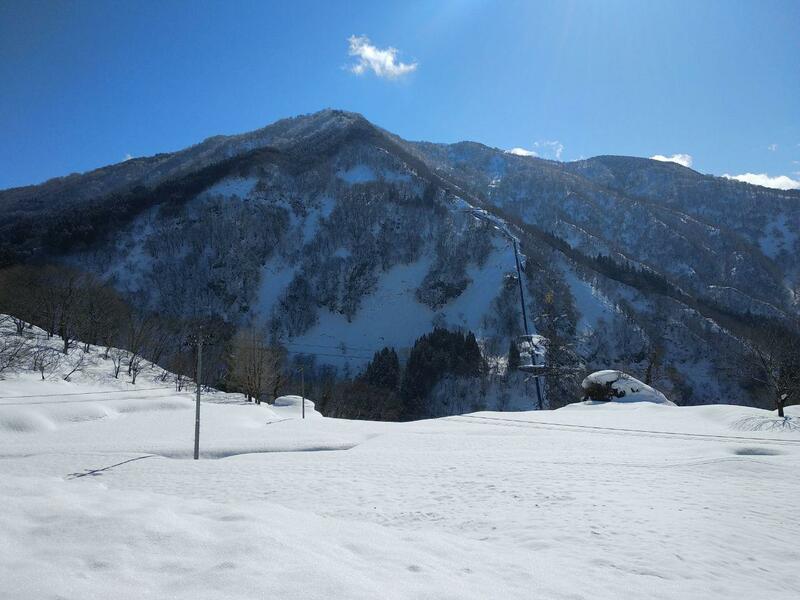 Snow Warning: There is a lot of snow in Ainokura in January and February so please bring a pair of boots. 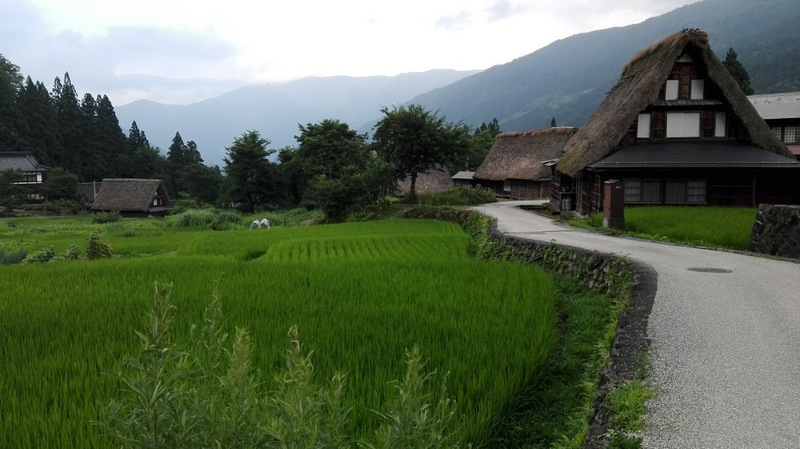 Ainokura is by far the best of the Shirakawa-Go and Gokayama villages. It is peaceful and feels authentic. Even so, to fully appreciate the place, it helps greatly to stay overnight. Goyomon is a great choice. Authentic house, fish cooking on the traditional irori stove, good sized rooms, good shower and bath, and fantastic hospitality. 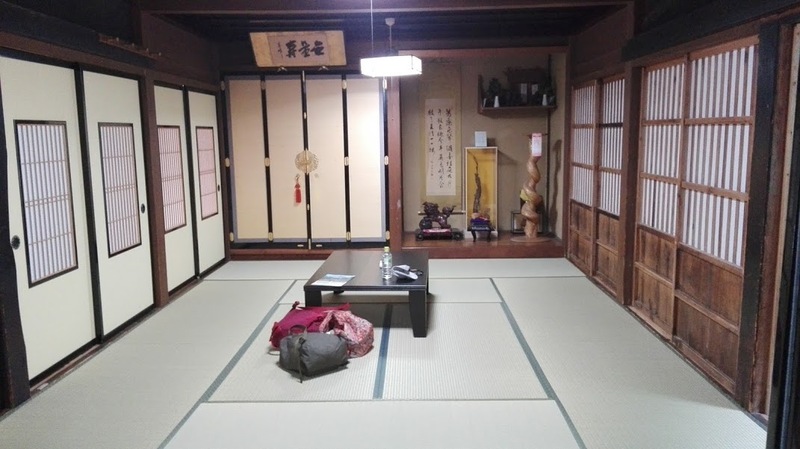 As backpackers, we stretched our budget to experience a night staying in Gassho-Zukuri style house in Ainokura village and we were so glad we did! The village is peaceful and much quieter than the touristy Shirakawa-go. We woke up to snow in the morning which was just magical! It felt like we were staying in a fairytale. Our host was incredibly sweet and made us the most delicious, traditional breakfast and dinner. 1 night was perfect for us. I would highly recommend staying in Goyoman. It was a top highlight of our trip to Japan. Warm welcome by the owner, who knows a little English. So, communication was possible to us. Food was local and good. Room was warm but become cool during the night when the heater was off automatically. But the bed was warm enough for sleeping. Worth the visit. My girlfriend and I visited during December and had a wonderful stay. Our dinner was one of my favorites of the trip. Filling, warm and home cooked. Our room was warm and comfortable, though the heater was gas and kind of loud, but not a huge deal. Overall the experience was great and Goyomon was a good value! Superb experience here at Goyomon Ainokura. Everything were in perfect condition. Nothing to complaint. P/S : Remember to check weather here especially on winter time and remember to bring your snow boots. Will definitely stay here again next time. The ryokan was absolutely perfect: great kaiseiki food, large traditional room, thoughtful service and true authenticity. Solo traveler and stayed at Goyomon for 1 night. I initially planned to stay at Shirakawago but apparently they do not accept solo travellers which led me to Ainokura and now I am so glad that I did. Ainokura is much more peaceful and authentic, giving you the true rural feel. Minshuku Goyomon had everything I need for my stay. 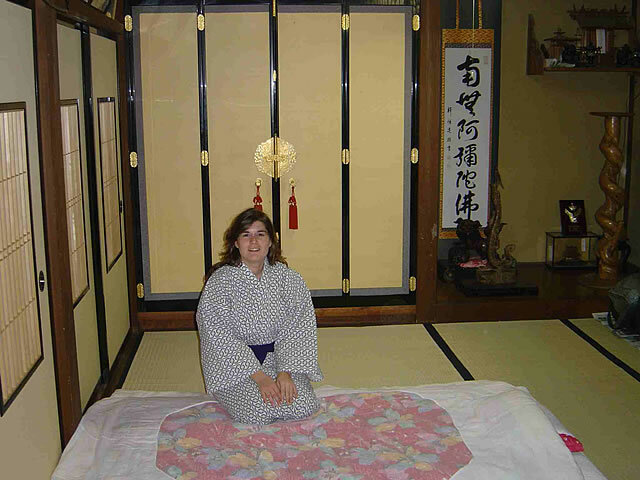 I stayed in a solo room with a very comfy tatami futon. Food was also exceptional and was A LOT! Himori-san was very accommodating and runs Goyomon which was owned by her husband's family for more than 200~ years. A Highlight of our trip! We stayed here for 2 nights and had an exceptional time exploring the beautiful countryside and eating the most "Amazing" food!! Just when you thought you couldn't possibly be getting anything more to eat, she would bring out more! The house was had plenty of room to relax in, everything was clean and nothing was too much trouble. Definitely a highlight of our 2.5 weeks in Japan! We had a wonderful stay! The hospitality, food, location were extraordinary. Would come back anytime! Ainokura is a real village. I much preferred it to Shirakawa-go, which I visted the next day for a few hours, which felt like a film set. 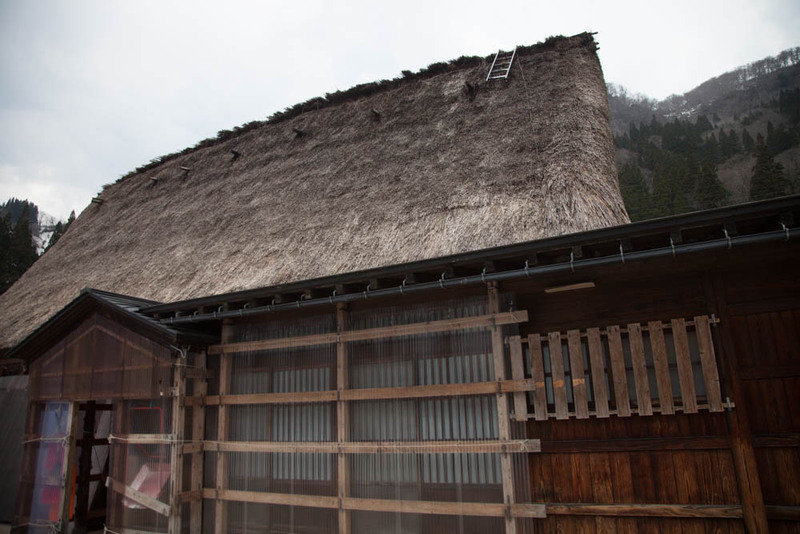 While I was at Ainokura, Minzokukan, one of the village's 20 thatched houses, was being re-thatched, fascinating. 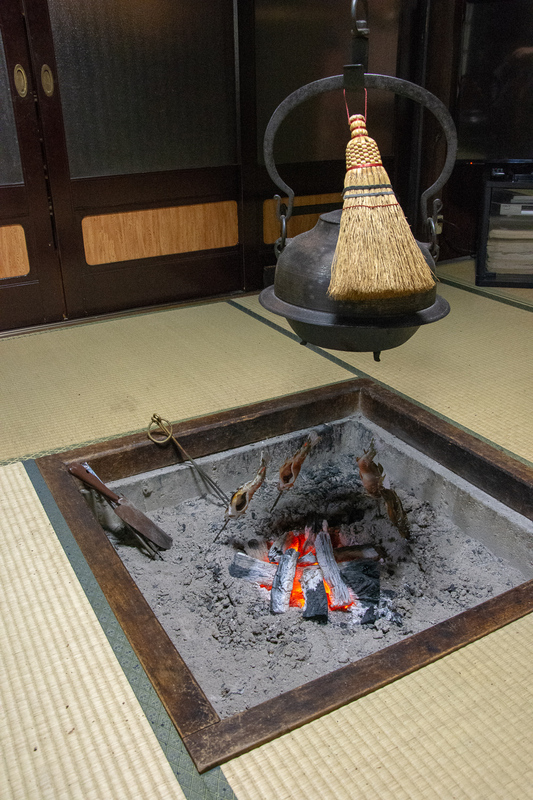 A lovely stay at Goyomon,an authentic gassho-zukuri, lovely local food served next to the fire. From the bus stop there ia big sign "Gassho-Zukuri" indicating the path to the village. I stayed for a night between 24.04.2018 to 25.04.2018 (1 night). The stay is amazing, the lady is super helpful and I felt heartwarming by her hospitality. The place is much quiet than Shirakawa-go and the village is much smaller than Shirakawa-go. However it is also more peaceful without much tourist. I had a wonderful time staying here. I and the other guests were welcomed with a cup of green tea. Then after settling in and going for a walk around the lovely village it was time for the evening meal, and what a meal, something of everything and all lovely! The heating was just right during my visit and had a timed heater in my room (very much appreciated). Had a lovely relaxing bath. This is such a traditional place to stay, which is just what I wanted. The breakfast the next morning was just as good as the meal the evening before. Sad to leave, but a great time had! Just Give Them Your Money! Good in all respects and a better village than Shirakawa-go as less commercialized and trafficked. Just stay here and enjoy the hospitality and surrounds! I have mix feelings about staying in Ainokura. On 1 hand I love it because its very quiet and peaceful but at the same time I miss Shirakawago. I think there are probably more things to do at Shirakwago. Nevertheless, my friends and I enjoyed the stay in Ainokura. Weather was not in favor to us during our stay. It rained the entire day and night which hampers us from exploring around. The hosts were friendly. Food were fantastic. Bedding were cozy. We can't ask for more. I will definitely recommend to come here for a night or two. I was the only one staying at Goyomon the night I was there. Since I visited in March, there was plenty of snow still in the town (not on the roof though), but it wasn't cold at all in the daytime (definitely dropped at least ten degrees by night though). I stayed in Ainokura as a suggestion from Japanese Guesthouses since Shirakawago ryokans did not take single guests. It is cheaper in comparison and much more serene as there were barely any tourists in the village and you pretty much get the whole place to yourself come dusk. The host was a very nice lady who offered to drive to nearby Sugamo to view the light up huts at night (Friday and Saturday in March, and I believe Shirakawago is lit up in January and February). The buses come once every 4 hours or so though, so plan ahead! As compared to Shirakawa-go, Ainokura is a much serene place, with comparable scenic views. The stay at Goyomon makes it an even more memorable experience. The host is a friendly and polite lady. It's easy to communicate with her in simple English. The room is cosy. The dinner and breakfast are delicious. I stayed for 1 night with 2 friends at Goyomon and it was the best winter experience ever. The host ensure that we are warm, and we had a full course dinner with fish cooked in traditional method. The stay also included a scrumptious breakfast. The surrounding is idyllic and we had many beautiful photo opportunities at the observation area. No regrets choosing to stay here over the commercialized Shirakawago. It was a great experience for the one night stay at Goyomon. Mrs Hiromi was very a friendly and welcoming host. 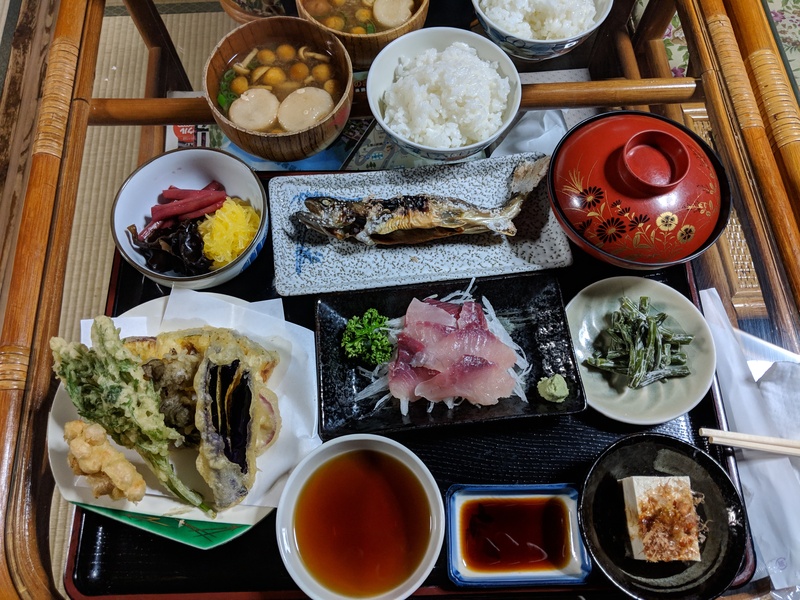 The food was prepared with care and was surprisingly tasty with some local mushroom and fish grilled in traditional style. Though it was raining that day in snowy winter, the heater in the room kept us dry and warm. Mrs Hiromi was kind to offer a ride for us to the bus station as we were a bit late for the next bus. 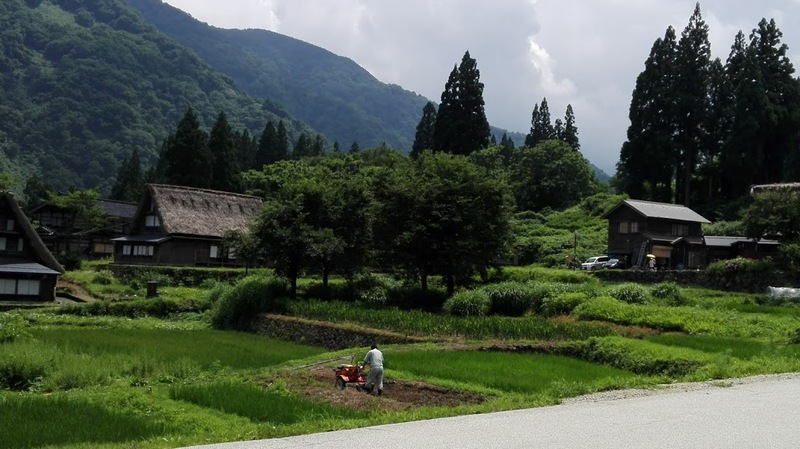 We highly recommend Goyoman in Ainokura instead of a more commercialized gassho-zukuri farmhourse stay in Shirakawa-go. Our family of 4 visited Shirakawago and stayed overnight in Ainokura in mid December, and we had such a wonderful time there. The hostess, Hiromi (hope I recalled her name correctly), waited for us at the bus stop with her car and we were greeted with warm hospitality upon arrival at Goyomon - a well heated house with hot tea and snacks. We were served with authentic Japanese meals for both dinner and breakfast (they were so delicious and fresh), and the next morning Hiromi offered our children a toboggan each where they got to play at the snowy field right in front of Goyomon, we had the field all to ourselves! We had hours of fun building snowman, snowball fighting, tobogganing and got ourselves changed and warmed up before leaving to our next destination. Overall, it was a wonderful experience and we look forward to be back again. Arrived at Takaoka station late and didn’t realise that I would be catching the last bus of the day. Lovely host picked me up at the bus stop and quickly set up my room and wonderful meal. Had a lot of fun staying at this guest house- from the traditional food (interesting- and nice) to the setting. Like many we went here because the more widely advertised Shirakawa-go didn't have any places, and I'm happy we did- it's much quieter and just (if not more) picturesq! I stayed as a single traveler in Goyomon for one night at the end of november 2017. I arrived by car and could park next to the house. I liked the spirit of this small village where everyone goes back home at 5pm when night falls at this time of year. 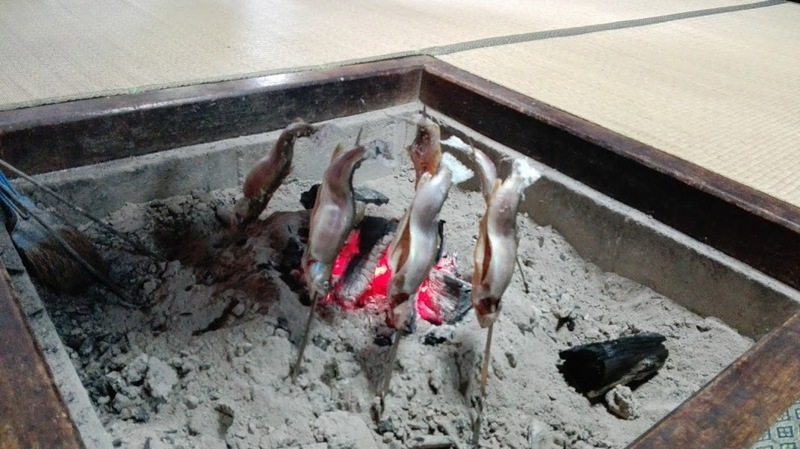 I felt very comfortable in my room and also in the common room where fishes were cooked on the fire for dinner. Dinner was delicious and I relished the local vegetables and local food. It was the same for breakfast. I spent a very peaceful night. I recommend a stay on Goyomon to feel an authentic welcome in a traditional home. Our night in Ainokura and Goyomon was magical, the kaiseiki was so good. Our host was very nice and spoke enough English for comfortable communication. We would definitely recommend. But before booking, better to understand that there are 2 other rooms, adjacent to yours, with paper walls, which hinders privacy a little, but that's part of the experience. I arrived in Ainokura in a pale, rainy day. The atmoshere was unique, magic. The village was surrunded by mountains and clouds: I arrived totally wet but I did not care. It was the experience i hoped for: peace, silence, mist and rain. 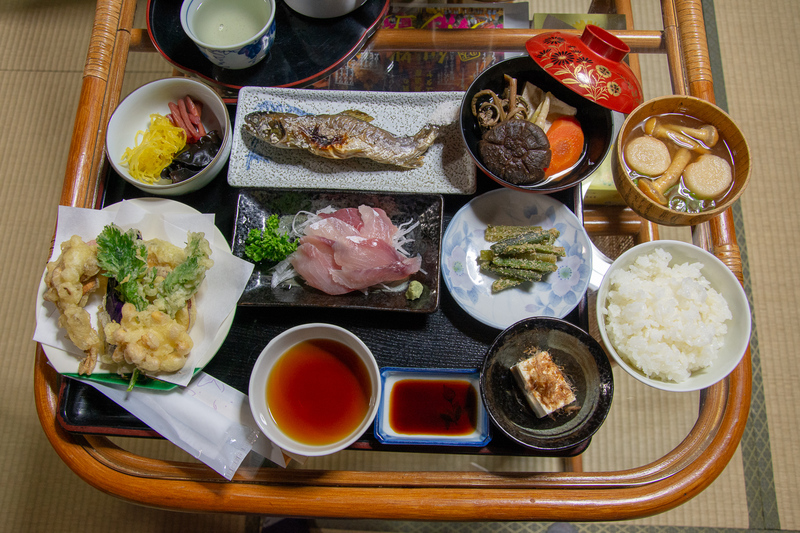 I had a welcome with green tea and biscuits and later a splendid, traditional, japanese dinner. My room was clean confortable and warm. A must for everyone. We stayed one night in Goyomon with our two little daughters and it was an unforgettible experience. The house was great and we had a great and delicious lunch. This experience will be a great memory of our journey to Japan. Really enjoyed our stay in Ainokura. Very peaceful beautiful surroundings. Authentic japanes food. Large comfortable room. Host very hospitable. Truly majical place. Not to be missed. Beautiful stay. Food was great, as well as the alcohol beverages provided with dinner. Our hostess spoke some English, so we were able to easily communicate. Comfortable. I called Ainokura the "village in the clouds." Appreciated it more than Shirakawa-go because it was so remote. 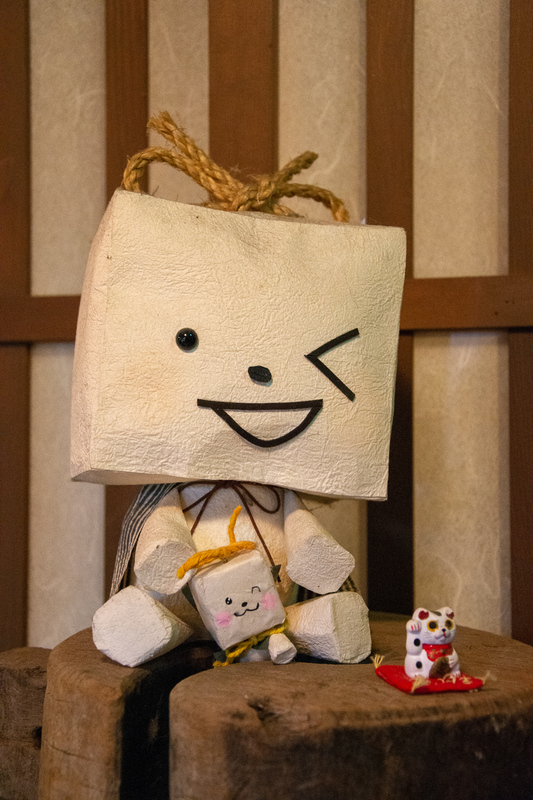 I visited Ainokura with my 9 years old son and we had a great time! The village is really a special place and it is really worth it to spend at least one nigh there. I was worried it would be too difficult to get there without a car, but the bus service from Johana and Shin Takaoka is super efficient. Goyomon is a beautiful old house, very clean, comfortable and full of magic. The owner is nice and kind, and she can speak a little english. The food is awesome! I really can't wait to go back! My wife and I had a delightful stay at Goyomon in Ainokura. Like some of the previous reviewers we had originally planned to stay at Shirakawa-go but the minshukus there were full. However also like the previous reviewers it worked out for the better as Ainokura is less busy and commercialised. The host at Goyomon was very helpful, friendly and accommodating in arranging an early breakfast for us in order to catch an early bus. The food was plentiful, varied and very tasty. I would happily recommend minshuku Goyomon. We stayed for two nights and enjoyed our time. We came much earlier than our check in time, but Hiromi was very accommodating and kind and allowed us to store our bags in our room. She also gave us tea and cookies, both days that we stayed. The setting of the village and inn is idyllic and was a welcome respite from the faster-paced Tokyo. We were provided different meals for each night and they were both tasty. The walls are very thin, so you can hear people from the other rooms and the lights from others go through the walls. Otherwise, the rooms were cosy and the bathroom was clean and spacious. The bathroom is shared, but that never was a problem for us as the inn is small and there were never too many other guests. We had an amazing stay at Goyomon. Ainokura is beautiful, and much less touristic than Shirakawa-go. The opportunity to walk around the town in the morning before any buses arrive was very special. The inn was very comfortable and clean, and the innkeepers were extremely friendly and welcoming. Dinner and breakfast were delicious feasts! Ainokura is a very charming little village very easy to find by bus. Goyomon takes advantage of this and offers the visitor a very authentic experience. The person who took care of us was very attentive and really made an effort to communicate in English or with gestures, although a bit of Japanese makes a big difference. The food is excellent, both the dinner and the breakfast. We slept very well on the futon that was on top of the tatami. The yukata provided were very comfortable too. There were some bugs running around but it was nothing major. We would definitely stay here again. Charming Village and warm hospitality. 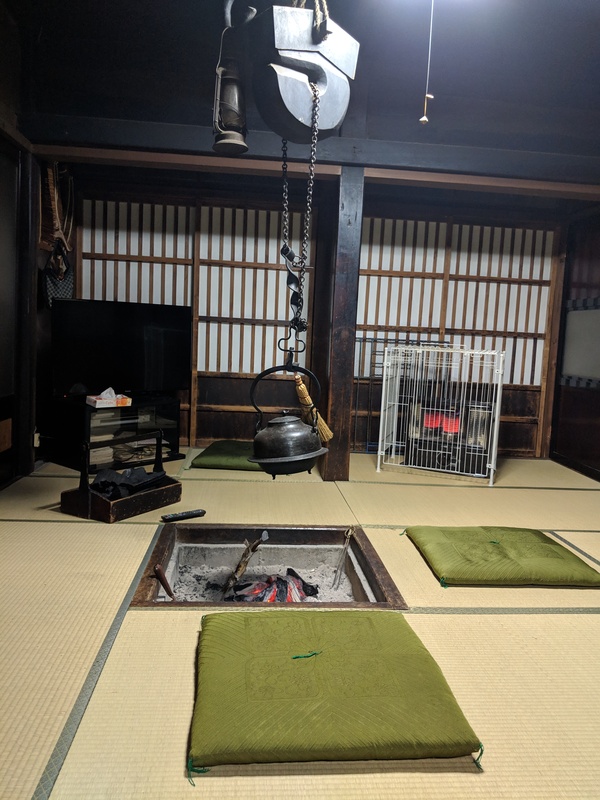 I loved everything about our visit to Ainokura even though it was cold and raining when we arrived we fell in love with this charming little village! Our hosts at Goyoman were sweet and made so much effort to make us feel at home. They even provided us with a hot water bottle to warm up our beds! The food is lovely and I only wish we had stayed 2 nights instead of 1. A beautiful and attractive village filled with snow, isolated villages such as separated from the outside world. Stop in a time machine that throws us into a few years ago. We stayed in Goyomon and welcomed by the host with friendly and very helpful. A warm bed, good food, hospitality made to feel at home. Hope someday will be back and stay longer. 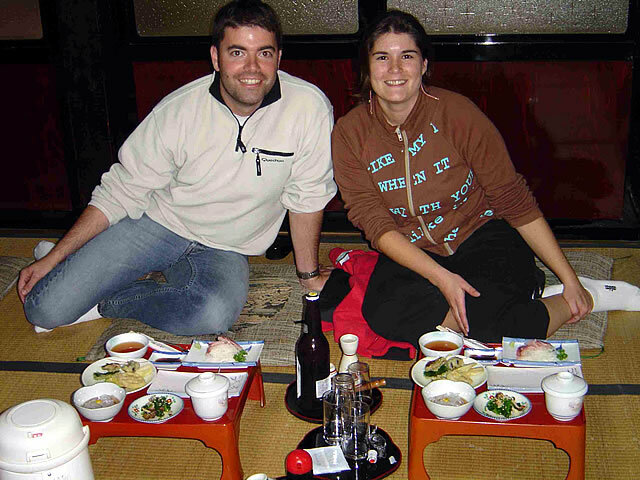 My wife and I stayed for two nights at the Goyomon from the 1st of February 2015 to the 3rd. We first want to stay at Shirakawa-go village but due to peak season and the light-up event that day, there were no available accommodations there. With heavy heart we chose to stay at Ainokura village but we were very glad with our decision afterwards. We immediately fell in love with the place as soon we arrive there. Compared to Shirakawa-go, Ainokura is very quiet and peaceful. 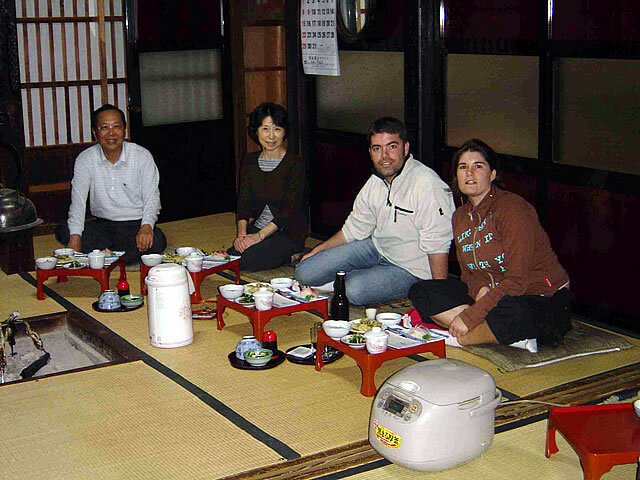 At Goyomon, we were received great hospitality from our host, Mrs Hiromi. It was very cold during our visit with heavy snow around the Ainokura village but Mrs Hiromi made sure that we were comfortable and warm inside the house. and we love the Food. Mrs Hiromi was also kind enough to send us to Taira Ski Area on our second day which is about 5 minute drive from the village. Overall, we're really pleased and had an unforgettable memory staying at Goyomon. We will definitely come and stay here again in the future.